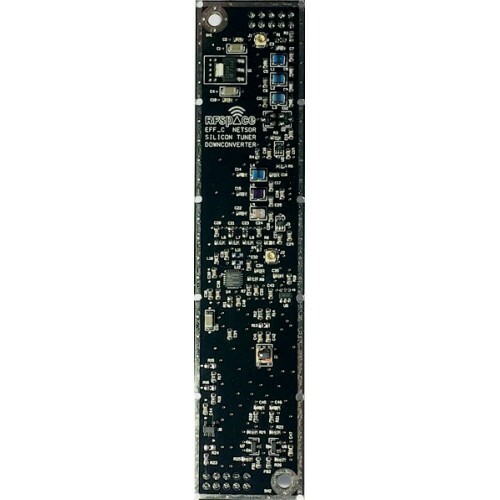 The NetSDR+ radio is a high performance networked SDR with 2.0 MHz output sample rate. 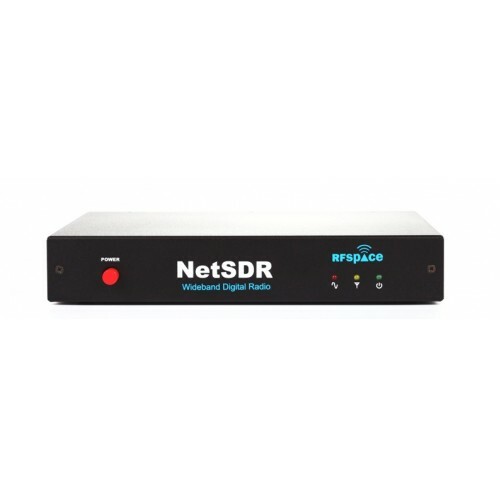 The NetSDR+ is our 4th generation technology using a high performance 80 MHz, 16 bit ADC with both dithering and randomization for best performance. The output I/Q bandwidth is configurable via software. PC communications are handled over a 100 base-T port using 24 or 16 bit I/Q words. The unit is compatible with the SpectraVue, SDR-Radio, SDR#, GNURadio and other software that will have you up and running in minutes. The software includes analog and digital mode demodulation and I/Q capture of spectrum at up to a 1.60 MHz BW. RFSPACE now includes a low bandwidth Windows server application to remote the NetSDR+ from a Windows, Mac or Android client. The waterfall and demodulation audio can be transported via a low bandwidth internet link. For those interested in writing their own applications, RFSPACE supplies a fully documented protocol for communicating with the hardware. There is no need to calculate the downconverter DSP parameters. The NetSDR+ just needs the center frequency, attenuator and preselector filter settings, output sample rate and mode to begin streaming data. Other solutions require complicated USB interfacing that is platform specific. The NetSDR+ utilizes straight TCP/IP and ethernet for all communications. This offers the highest possible performance due to the highly optimized ethernet drivers on PC, Mac and Linux systems. The NetSDR+ packets are fully routable. This means that the receiver can be placed at remote locations. Multiple receivers can also be combined and it’s data transported over a higher data rate ethernet pipe using simple switches and routers. In this application, each NetSDR+ can be set to a different IP address or port. The new NetSDR+ trigger input option -02 will reset the NCO phase to zero degrees and clear the internal filter buffers until a trigger signal is received. This allows the synchronization of multiple NetSDR+ applications. In addition, the NetSDR+ now includes an internal trigger. This trigger is adjustable in steps of 1nHz for capturing repetitive signals. Connections: 3 x BNC (RF 1, Ext Ref, IF Out/RF 2) , RS-232, USB Setup, Stereo In, Ethernet, Power, RX Mute.